Releasing fish not meant to become a meal, like stocked trout, can mean good fishing for a longer period of time. You’ll feel good. Not outright heroic maybe, but certainly noble to at least some degree, believing you’ve done right by conservation and fishing. Releasing fish you’ve caught can help sustain wild populations and, in the case of stocked fish – like all of those hatchery trout being released in so many states right now – prolong fishing opportunities by keeping more fish in the water longer. But only if you do it right. There’s more to that than some realize. 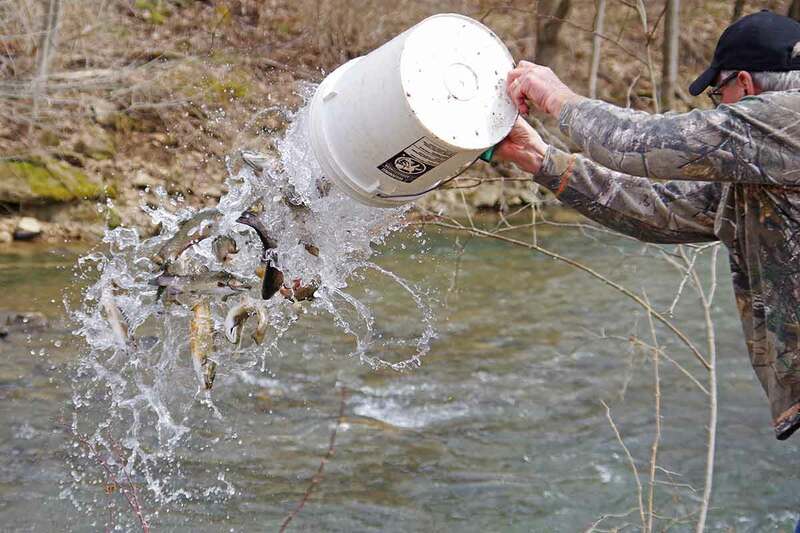 Ohio Division of Wildlife statistics show that, handled properly, 82 percent of released fish survive. Handled wrong, though, their survival declines by 25 percent. In short, simply grabbing a fish with dry hands, wrenching a hook from its gullet and tossing it back into the water doesn’t cut it. There are ways to make sure more of the fish you set free live, though. Be quick about it. The fight a fish puts up is often the most memorable part of a catch. But don’t prolong the fight any longer than necessary. Research shows that the physiological changes a fish undergoes once hooked – that burst of energy related to attempting escape – increase the longer it’s hooked. Meaning, the quicker you get your fish in and back out the better for it. Go barbless. Fish hooks have a barb on them. Meant to keep hooks from pulling free, they work, almost too well if your intention is to turn fish back. Use pliers to crimp the barbs down, making it easier to get remove a hook faster. Cut the line. If you’re using barbed hooks, or if a fish just swallows your hook deeply, don’t try to dig it out. Chances are that will prove fatal. Instead, cut the line as close to the mouth as possible and release the fish that way. Promote slime. All fish are covered with a protective coating of slime. It’s a barrier that keeps infection at bay. Handling a fish with dry hands, or even scooping it into a cotton net, removes slime, making it susceptible to disease. Wet your hands before touching any fish. Handle with care. Likewise, fish swim horizontally. Lifting them out of the water and holding them vertically stresses their organs. Hold them so that they’re parallel to the ground, as when they’re swimming. Avoid sticking fingers in their gills, too, or injuring their eyes. Keep it wet. If you can, use forceps, needle nose pliers or hemostats to remove the hook and keep fish in the water. The longer a fish is exposed to air the worse off it will be. In some cases, if a fish seems to be really struggling, that might mean forgoing a picture. But it’s better to do right by the fish. Resuscitate as needed. Sometimes, despite our best efforts, a fish needs a helping hand. If you’re on a creek or river, hold the fish in faster – i.e., more oxygen-rich – water, facing into the current. Support it under the stomach. Allow water to flow over its gills and allow it to swim away when it’s ready. If on a lake or in still water, move the fish in a figure eight to promote breathing. Mind the weather. Cold water fish like trout are especially susceptible to stress when water temperatures get too high. Consider leaving those fish alone in really tough conditions or, at the least, be extra vigilant in doing right by them. If worse comes to worse, and a fish you’ve brought in doesn’t seem like it’s going to make it, keep it for the table so long as it’s legal to do so. There’s nothing wrong with that. Indeed, most species of fish make great table fare if prepared properly. But if you need to or want to set them free, be prepared to do it right. Maybe you’ll feel a little heroic after all. 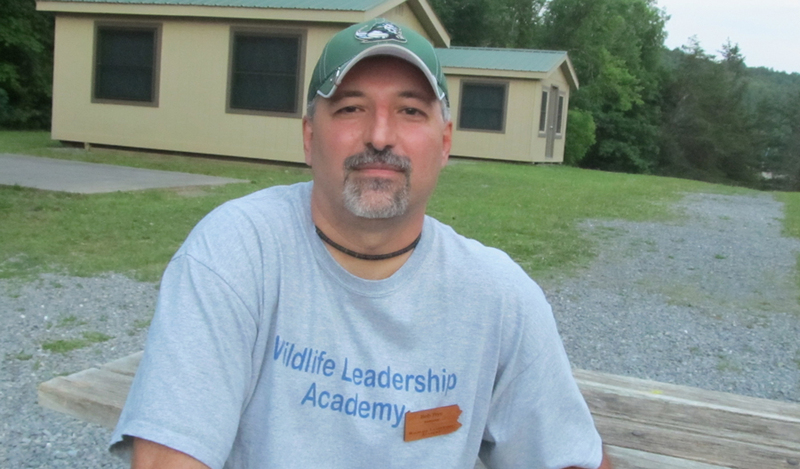 Trout anglers who practice catch and release do so immediately, right at streamside. Competitive tournament fishermen — at least those not in catch-photo-release events – take their fish to a central station to weigh in. The size of their bag determines how much they win. Dead bass are a problem. That means penalties that cut into the bottom line. Of course, it’s important those fish stay alive long after they hits the scales, too. With that in mind, here are a few tips for keeping fish healthy in livewells so that they can be released — to survive long term — later. Keep your livewell clean. Use a minnow net to remove fish scales, debris from other fish, rocks, weeds and the like. Match the temperature of the water in the livewell to the temperature of the water you’re pulling bass from. If the two are more than 10 degrees apart, fish often die. Run the pumps regularly to keep air circulating. Recirculating water promotes oxygen critical to survival. Add a diffuser to create bubbles and further add oxygen to the water. Consider using an additive. Available commercially under a number of brand names, additives promise to protect the slime coat on fish and re-energize them in general.